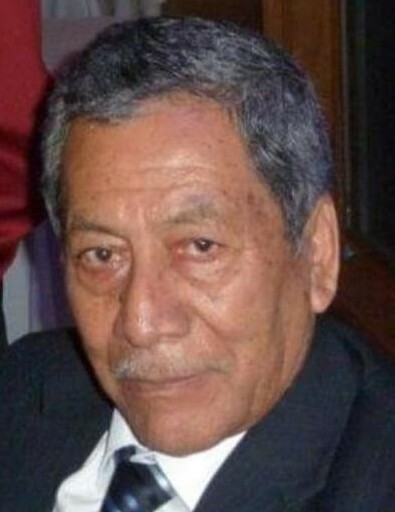 Carlos A. Moreno, age 84, of West Chicago, passed away on April 5, 2019. He was born on August 1, 1934 in Chiapas, Mexico to Vicente and Maria de la Luz Moreno. Carlos was married to Maria Cruz Rodriguez, known as Cruzita, for over 50 years. In Mexico, he was a professional musician and then worked at Alumax Steel in West Chicago for over 20 years. His two passions were his family and music; he played the marimba, piano and guitar both professionally and for friends and family. He was a warm, generous and caring person that loved to laugh and joke with friends, family and loved ones. Carlos is survived by his daughter, Georgina (Gerardo) Hernandez; grandchildren, Esther Gonzales (Benjamin Spencer) and Edgar (Nicole) Hernandez; siblings, Mario, Jorge and Aaron; and relatives and friends. He was preceded in death by his parents; wife, Maria in 2010; and siblings, Hector, Consuelo and Esperanza. Visitation will be held on Monday, April 8 from 4 to 8 p.m. at Norris-Segert Funeral Home & Cremation Services, 132 Fremont St. (one block north of Washington St. and Main), West Chicago. Funeral Mass will take place on Tuesday, April 9 at 1:00 p.m. at St. Mary’s Church, 164 N. Oakwood Ave., West Chicago. Interment will follow at Assumption Cemetery in Wheaton. For info call (630) 231-0060 or www.norrissegertfh.com.